As night falls, have you ever imagined how mysterious the Jurassic world could be? 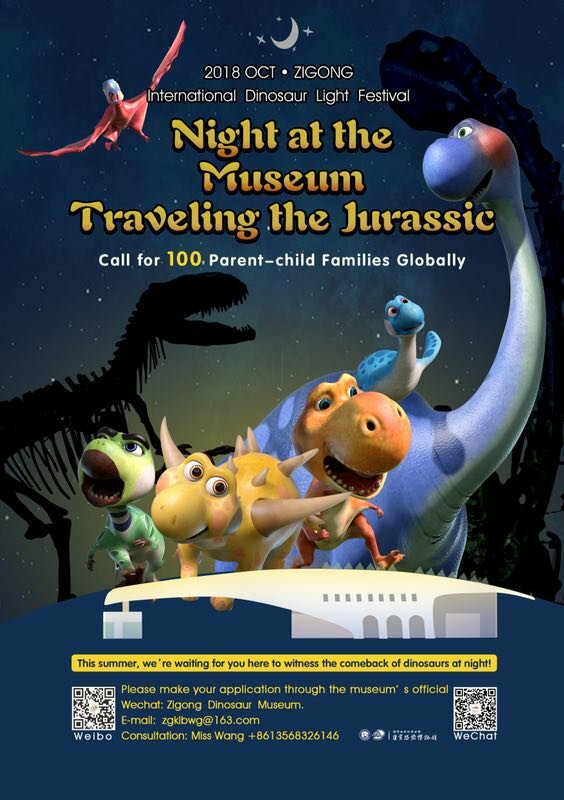 Come experience a totally different dinosaur world with the most talented dinosaur popular-science experts, and allow the wonderful night tour to subvert your imagination with fascinating science games. 100 parent-child groups are to be recruited worldwide, including 10 overseas families. Please fill out the application form and send it to zgklbwg@163.com from July 10- 25, 2018. 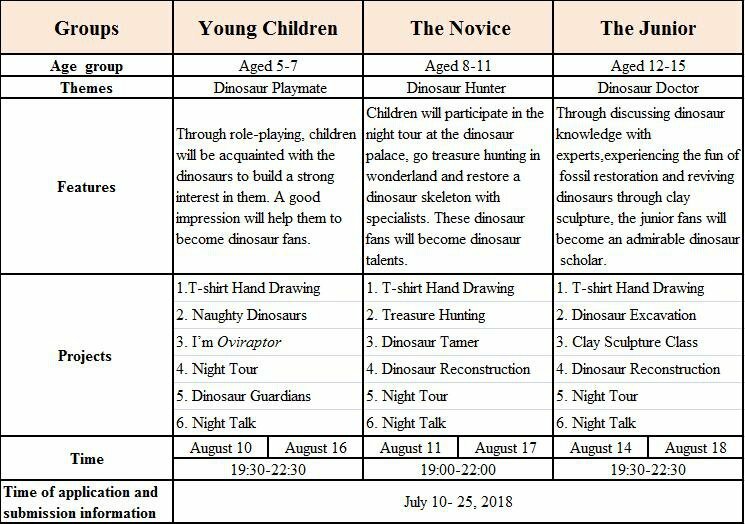 After the application is reviewed by Zigong Dinosaur Museum, you will be informed before July 31, 2018, whether your application is accepted. 1. Participating in the Opening Ceremony of the International Dinosaur Light Festival, only for the families of August 10. 2. Free tickets to the Wonderful Night Tour. 3. Exclusive souvenirs, activity pictures, etc. 4.Free admission to all the attractions related to the International Dinosaur Light Festival, including Zigong Dinosaur Museum, Zigong Well-salt Industry History Museum, Shenhai Well, Zigong Flower Garden and Zigong Dreamlike Water Park. Please contact the Science and Education Dept. of Zigong Dinosaur Museum.